All Tutorials / Tagged with "rainbow"
Gives out a dark, but colorful overlay colour. Have you ever wanted to turn any graphic into a colorful creation? Here you'll learn how too! 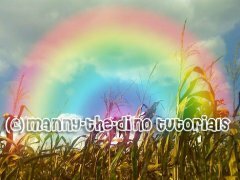 Learn how to create rainbow images with this tutorial.